It sounds lovely! Interesting comparison of September temperatures in Northern and Southern Europe. 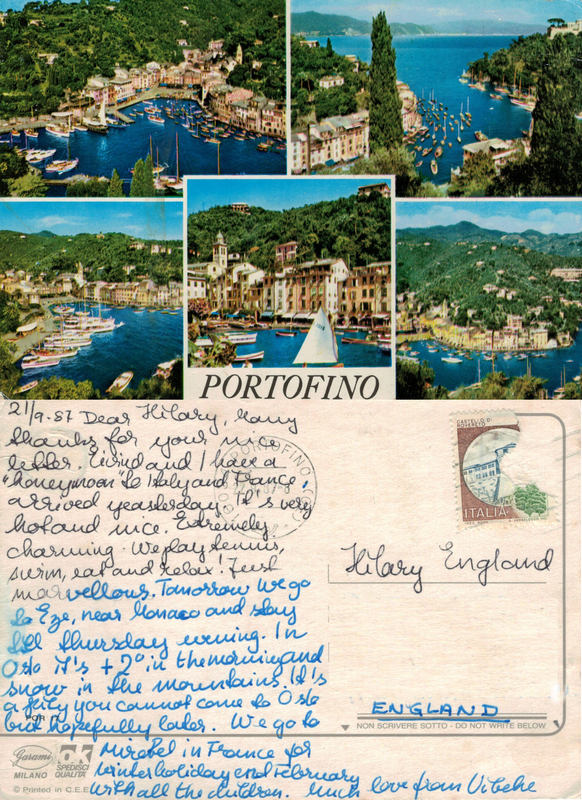 The images on the front of the card show the picturesque harbour of Portofino, which is on the north west coast of Italy. This entry was posted in art, autobiography, Journies, Postcards, Social History, Travel and tagged children, English, France, housework, Italy, Monaco, Norway, Oslo, Portofino, postcard, postcards, travel. Bookmark the permalink.